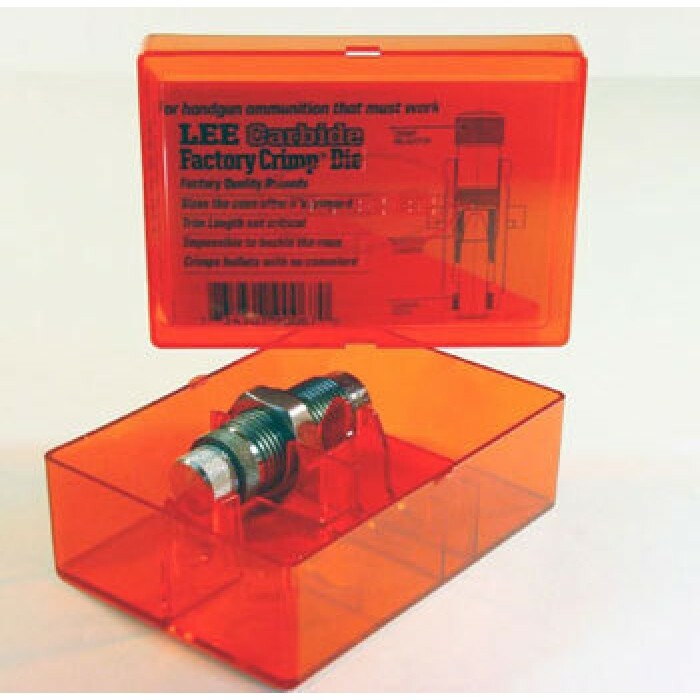 Save time and money while producing more consistent, dependable and accurate ammo with the Lee Precision .32 Smith & Wesson Long Carbide Factory Crimp Die. Trim length is not critical so you can eliminate all that case measuring and trimming you used to do. It sizes your cartridge while adding a factory-like crimp all in one operation. And since it crimps your bullets more firmly with more consistent pressure than any other die currently available from any other maker, the result is ammo that chambers freely like factory loads. A carbide ring in the base resizes the cartridge during the crimping operation. NO Lubrication is needed. Lee Precision tests have shown the firmer, more consistent crimp results in a much more uniform pressure curve which is essential for maximum accuracy. Crimps bullets in place more firmly with more uniform pressure than any other die. A Simple adjusting screw makes setting the amount of crimp desired easy. A carbide ring sizes the cartridge during the crimping operation. Produces more consistent and dependable ammo. Eliminates magnum powder ignition problems. No Lube required, Saves time and money. 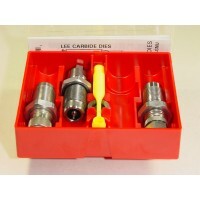 Save time and money while producing more consistent, dependable and accurate ammo with the Lee Preci..
Lee Precision Carbide .32 H&R (Harrrington & Richardson) 3-Die Pistol Set uses a solid carbide inse..
Lee Precision Carbide .32 Smith & Wesson Long 3-Die Pistol Set uses a solid carbide insert ground ..